(SPOT.ph) The EDSA People Power Revolution went down in world history as a series of non-violent demonstrations along the Metro Manila thoroughfare from February 22 to 25, 1986. 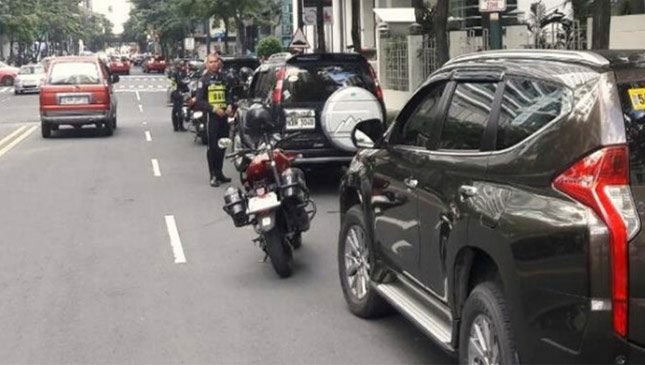 The protests occurred not only in the capital but in different cities nationwide to protest the dictatorship of late President Ferdinand Marcos. Over two million Filipino civilians alongside political, military, and religious groups walked side by side to oppose years of corrupt governance by the autocrat and his cronies. 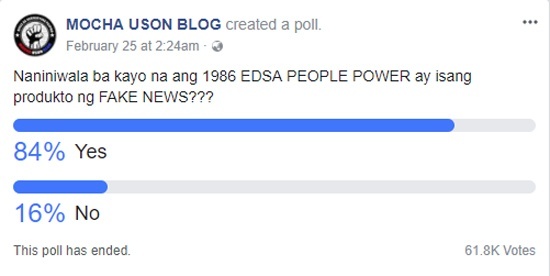 To commemorate the 32nd anniversary of this milestone in Philippine democracy, Assistant Secretary of the Presidential Communications Operations Office Mocha Uson asked her 5.5 million followers on Facebook: "Naniniwala ba kayo na ang 1986 EDSA PEOPLE POWER ay isang produkto ng FAKE NEWS???" It was posted on February 25 at 2:24 a.m. and garnered 84% "yes" votes (from 61.8 thousand trolls...we mean, voters) after 24 hours. 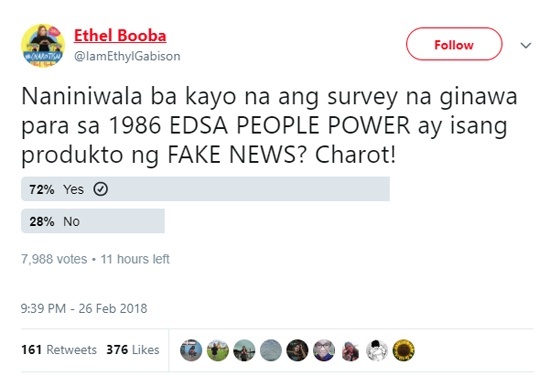 Meanwhile, TV personality and comedian Ethel Booba—who never fails to stay #woke—responded to this with a witty tweet: "Naniniwala ba kayo na ang survey na ginawa para sa 1986 EDSA PEOPLE POWER ay isang produkto ng FAKE NEWS? Charot!" It had a total of 72% "yes" votes (from 7,500 people) after only 12 hours. yung 'survey' ang pinatutungkulang 'fake', NOT Edsa Rev. ???? Thank you Booba, this is a fun equalizer???? There's a reason kung bakit di na nagco-conduct ng poll si ateng Mocha Uson sa twitter. Nagmumukha siyang tanga e.
Dapat ang tanong.... "Naniniwala ba kayo na si @MochaUson ay source ng Fake news?"???????????? This isn't the first time that Booba threw major shade at Duterte supporters. In December 2017, she tweeted a great comeback to Sass Sasot's "Kapag tinanong ka ng tita mong taklesa ngayong Noche Buena kung bakit wala ka pang asawa, gayahin mo si PNoy: Sisihin mo si Gloria." The TV personality responded to this with "That's so 2015. 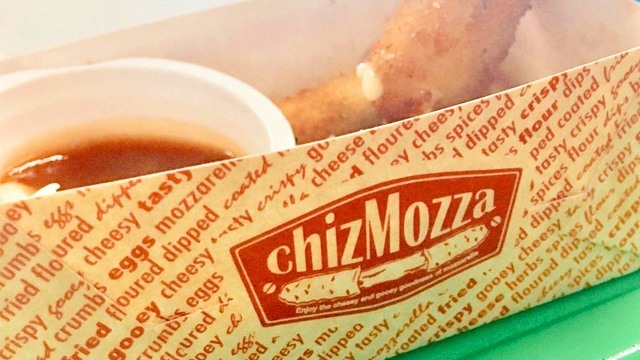 Ang uso ngayon 'Tita, give me at least 3 to 6 months at makakahanap din ako ng jowa.' Then kapag di mo natupad, extend mo pa ng 5 more years. Charot."